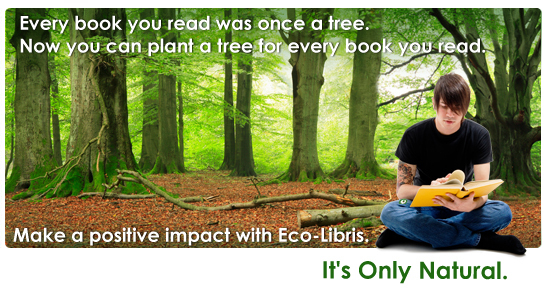 Eco-Libris blog: How green is your (and my) Kindle? How green is your (and my) Kindle? Fact 1: I have a Kindle. Fact 2: I have no idea what is its carbon footprint. 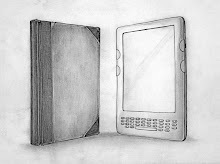 There was an attempt to figure out the Kindle's footprint in 2009 - Cleantech Group published on August 2009 a report (E-readers a win for carbon emissions) which determined it was "an average of 167.78 kg of CO2 during its lifespan". We looked carefully at the report and wrote here (New report finds Kindle greener than physical books - is that really so?) about our doubts regarding the validity of the findings.We thought that as these results are not based on a life cycle analysis and lack any sort of scientific base they shouldn't be used. I wouldn't get into it again if I haven't had the chance to see that this figure was presented last December on ABC'S Good Morning America by Sierra Club Green Home's Jennifer Schwab in a segment of 'Just One Thing' that was about how green e-readers really are. You can see it yourself on the video below and even in the picture below of the video, where there's a sign next to a Kindle saying 'E-reader: 168 kg CO2. I was surprised to see that Sierra Club Green Home use this figure and therefore I'd like to remind them as well as others who are interested in finding out what the Kindle's footprint is what's wrong with this figure of 168 kg CO2. "...the second-generation Kindle represents the same emissions as 15 books bought in person or 30 purchased online. That would yield a range of between 60.2 to 306 kg of CO2, or an average of 167.78 kg of CO2 during its lifespan." The problem is with this estimate (Kindle has the same emissions as 15 books bought in person or 30 purchased online). This is not a figure provided by Amazon. The report is explaining that "Amazon declined to provide information about its manufacturing process or carbon footprint". This report takes this figure from a "Los Angeles-based architecture and construction firm Marmol Radziner Prefab used the IDC lifecycle analysis calculator." I went on to check how Marmol Radziner Prefab come out with this number if Amazon doesn't provide any data and found on their website that "One of our architects recently gave the calculator a whirl by estimating the carbon footprint of Amazon’s new Kindle Wireless Reading Device. " OK, but how did he do it? they explain: "He answered a few questions and found that the Kindle has the same footprint as 30 paperbacks ordered from Amazon’s store. So if you’re going to read more than 30 books on your Kindle, it’s greener to purchase the digital reader than the paper copies." Given the fact that Amazon doesn't provide any data (well, we have to say the report mention that Amazon has established a recycling program by mail for Kindle and its batteries to prevent the improper disposal of e-waste), this figure looks to me as a guestimation. In any case, an experimental use of an architect with the IDC lifecycle analysis calculator is far from being something you can take into an account in an analysis, especially when you don't have any second or third sources to verify it. "..this was done over the weekend as a (fairly intensive) exploration of the calculator software and should not in any way be interpreted as a scientific study...I am a little bit shocked that Cleantech would appropriate this post without at least asking me about the rigor of my methods, or simply doing a few hours' more research on their own and getting a more accurate result from the calculator themselves. Much more rigor should as well go into the lifecycle study of paperback books, particularly factoring in overproduction and the costs of warehousing and recycling the unsold stock." So as you can see the figure of 168 kg C02 is far from being scientific-based or anything close it (unlike for example the iPad's footprint of 130 kg CO2 that is provided by Apple and therefore is considered reliable). Therefore, I think Sierra Club and others shouldn't use it and wait until Amazon release their own figure or a reliable life cycle analysis will be conducted to figure it out. 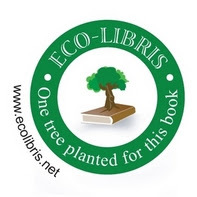 More resources on the ebooks vs. paper books environmental debate can be found on our website at http://www.ecolibris.net/ebooks.asp. Great post. This kind of information seems like it should be able to be calculated. Any foundations that really want to do the public a service, buy the best private investigators in the world and put them on task.. calculating accurate carbon footprints of popular consumer products. P.S. I love my Kindle. Hi Raz. I just found your blog. Thank you for writing it. Your post clearly shows the problem with trying to calculate Co2. 1. What we never hear about is what materials actually go into them. Cell phone makers have been on the hot seat for toxic and/or non-recyclable materials and toxic batteries. 2. No one talks of whether Kindles (or other eBook readers) will accommodate the software upgrades that will inevitably occur. How often will we need to replace them if they don't accommodate upgrades? 3. The disposability issue is therefore significant. How much will really wind up in toxic landfills, especially in Asian countries where we in the West dump our old tech. What is their full cradle-to -grave calculation? It should be a mandatory disclosure if being "green" is being mentioned at all by the manufacturers . I would like to like eBooks, but I can't yet. As an aside, the issue of copyright is still not clear (the same problem as with music downloads); this also speaks to a profit slanted corporation that does not consider the artits or the environment in their business model.